At Camp Bow Wow Strongsville, we believe every dog should have a loving fur-ever home. We work closely with local shelters and rescues to help with their adoption efforts, and often have foster dogs staying at Camp. These dogs get to play all day with other Campers, snooze the night away in individual Cabins, and get lots of love and attention from our Certified Camp Counselors®. Personality: Meet Melody, our little Merle beauty! This sweet, silly girl is a delight. She loves to play with toys and is social with people and other dogs. This smart gal knows her sit and speak commands and is eager to please. Melody loves her treats, this chatty pup will even speak for them. Come visit everyone's favorite pocket pitty! Adoption Information: If you are interested in Melody, please call CCAS at 216-525-7877. Personality: Meet Nova! 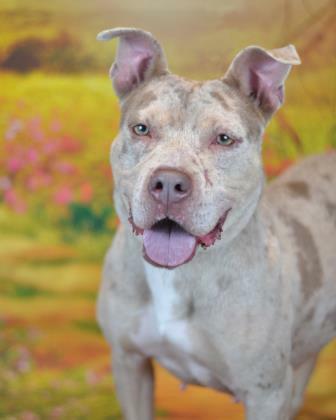 This sweet American Pit Bull Terrier mix is 3 years old and all she wants is a furever home! She is currently staying with us and making lots of friend and getting spoiled rotten! The shelter says she loves to go on walks, she can be shy at first, and she is an affectionate companion. 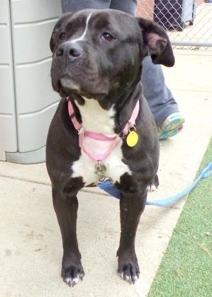 Adoption Information: If you are interested in adopting Nova, please reach out to Cuyahoga County Animal Shelter at 216-525-7877.